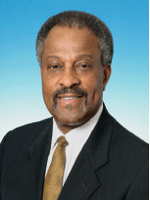 The MCCA network extends its congratulations to board member Hinton J. Lucas, DuPont Company’s vice president and assistant general counsel, upon being recognized by A Call to Action Canada for his leadership and advocacy to advance diversity efforts in law firms outside the U.S. The group has established an annual award that is named in his honor, and the inaugural awards were presented to both Mr. Lucas and Kevin Derbyshire, general counsel of DuPont Canada. In 2009, Mr. Lucas and MCCA general counsel Brandon Fitzgerald traveled to Ontario to speak at a diversity summit organized by a group of Canadian lawyers who wished to launch their own equivalent to the Call to Action, which was set in motion in 2004 by senior corporate legal officers in the United States. Its mission is to encourage and support in-house counsel in taking a leadership role in advancing diversity and inclusiveness in the legal profession. Signatories insist that their outside law firms demonstrate a true commitment to the full participation and advancement of women and minority lawyers within law firms. They also limit or terminate relationships with firms that demonstrate a lack of interest in being diverse and inclusive. These efforts have been ongoing; so far, three corporations have signed A Call to Action Canada—DuPont Canada, Royal Bank of Canada, and Accenture LLP. For more information, visit www.acalltoactioncanada.com.